Taking the plunge to handle all of your communication needs with VoIP is one of the easiest ways to cut down costs for any small business, while still maintaining that professional level of service. 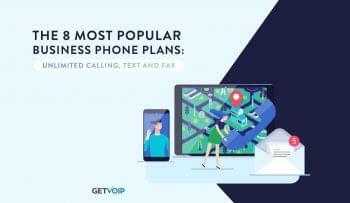 While it is crucial to choose the best VoIP provider tailored towards your specific needs and budget, even the best service in the world will suffer without choosing the right IP desk phones to handle your inbound and outbound calling. We decided to take a look at the different offerings out there to see what you’re getting for your money. With hundreds of phone options ranging from entry level to top of the line, VoIP phones can get expensive quick. But with a business only in need of a handful of phones, it might not be worth paying the extra premium for all the bells and whistles you won’t even use. 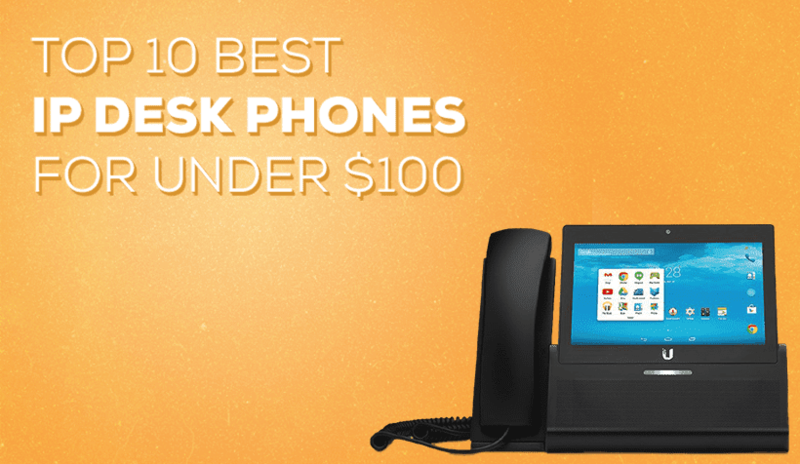 We rounded up a comprehensive list of 10 entry level desktop VoIP phones priced under $100, for any company looking to take full advantage of their small business VoIP service. 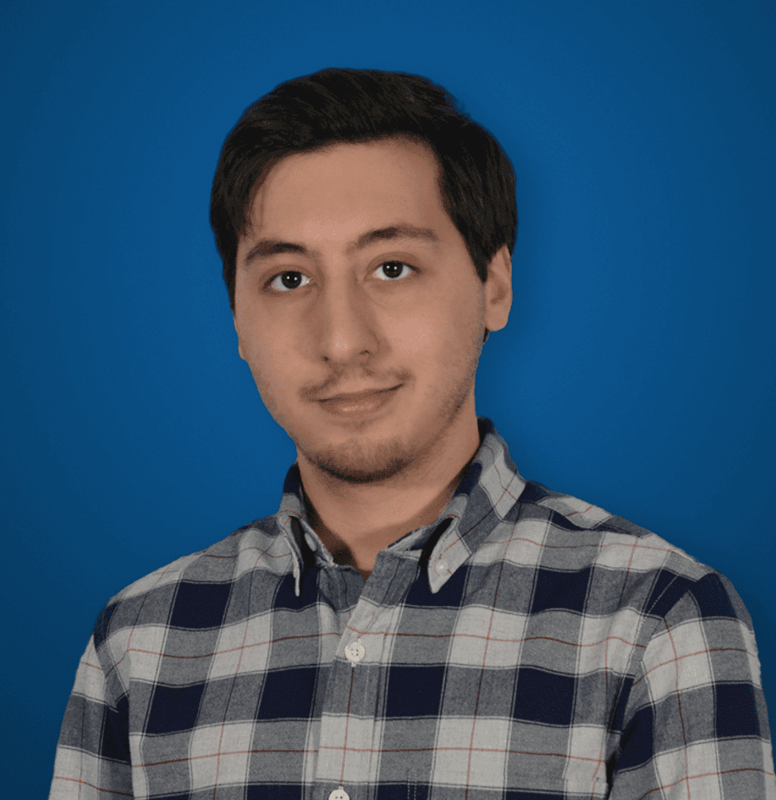 In this list we tried to focus on what exactly a small team would look for in their phones between functionality, most popular phone features and cost. We placed a high priority on the number of lines available for each phone, as well as headset support and other helpful features like Power over Ethernet. We took note of extra bonus features as well, like four way conference calling, extra Ethernet ports for other devices, and even Bluetooth support. One of the biggest names in Unified Communications, it’s hard to go wrong with Cisco. 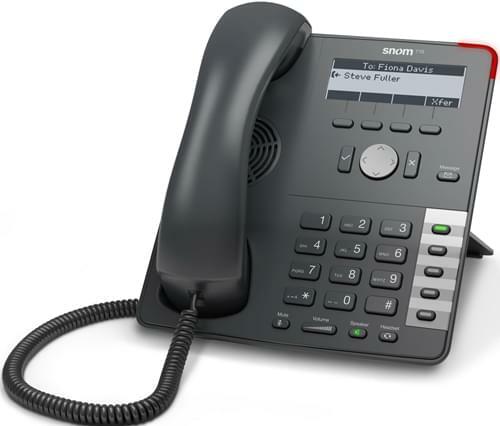 The SPA303 is the higher model in Cisco’s entry level, business-class IP phones while still remaining a cost friendly and effective device. Equipped with all the features you would need, the 303 includes some extras like Intercom paging. Of course, the 303 also sports all the useful calling features you would expect such as call swap, call park and unpark, multiparty conferencing, automatic redial, call waiting, and even 10 customizable ring tones. 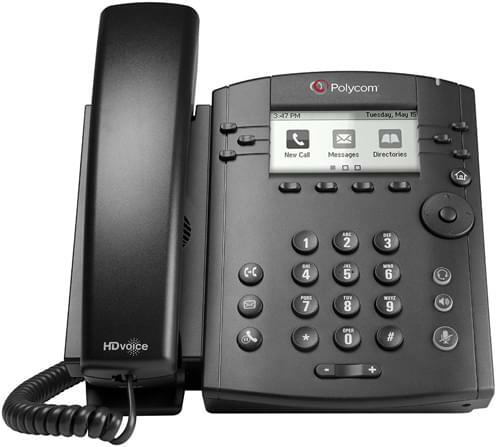 A little more on the basic side, Polycom describes their VVX201 as “simple yet reliable.” With only two lines, the 201 is more suited towards low call volume offices, but if all you’re after is a familiar setup that can make and receive calls the 201 might be the path to go down. 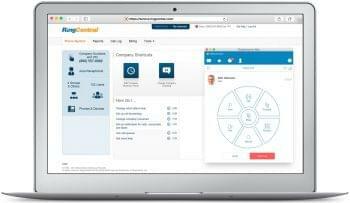 It doesn’t boast any impressive features or add-ons, although there are two Ethernet ports, and it can be configured through Polycom’s easy-to-use interface, or dedicated web portal. This portal even allows administrators to jump on and tailor all or just one phone’s settings. A step higher in Polycom’s, the VVX300 does everything you’ll need it to as a phone like the 201, but adds a few extra details that make life a bit easier. Jumping to six lines, from the mere two lines of the lower models, the VVX300 would be a better pick for offices that tend to have multiple lines going off at once, and would make a more ideal phone or a receptionist or incoming call center. Though what makes the VVX300 really stand out is its integration with third party web based applications through open APIs. You can set your phone to receive updates from your Microsoft Exchange calendar, for example, and ping you reminders or alerts. Users can even instant message other phones, and see a list of other available. Through open APIs the integrations you could build are pretty limitless. You could even attach the phone to your computer as an external display and use your mouse and keyboard to navigate on the VVX300’s display. Bridging the gap between the VVX201 and VVX300, the SoundPoint IP 321 is a two line phone that comes with some of the extra business calls features from the VVX300. 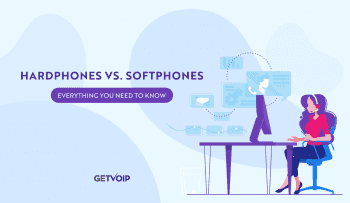 Polycom describes the phone as a cost-effective solution for workers that utilize a “hard” desktop phone along with a “soft” phone client running on their PC. 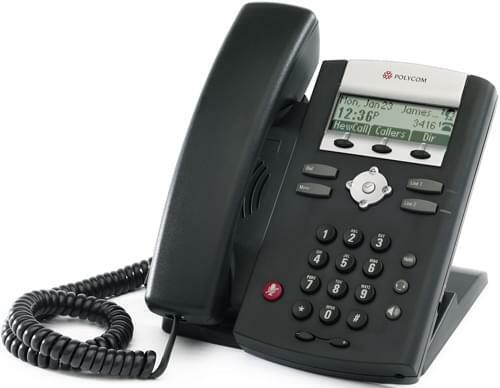 The phone includes a long feature list of traditional telephony functions like call hold, park, transfer, pick-up, and three-way conferencing. It also adds a built-in XML microbrowser, and call/bridged line appearance. If you want the extra features of the VX300 but don’t need the 6 lines, SoundPoint IP 321 fits right in. Panasonic’s entry level offering is comparable to both Cisco’s and Polycom’s in everything it bundles together. With two line support, 2 programmable keys, dual Ethernet ports, power over Ethernet it kind of hits all the right points. 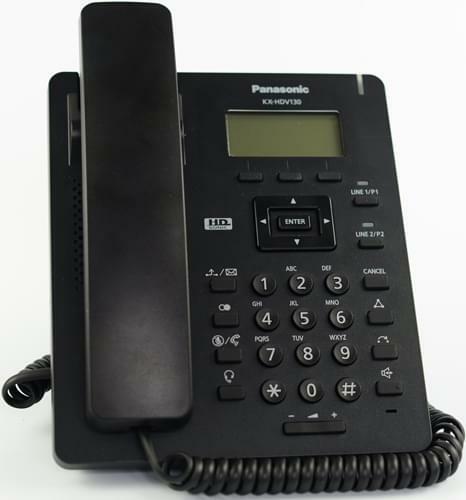 It is interesting to note that Panasonic’s built in phone book will accept up to 500 entries on the HDV130, which is pretty great when you compare it to the Cisco SPA303’s mere 100 listings. However, without any extra features like Polycom’s API support or XML microbrowser, there isn’t much that makes the KX-HDV130 stand out among the competition – but it’ll get the job done if all you’re after is a basic two line desk phone. 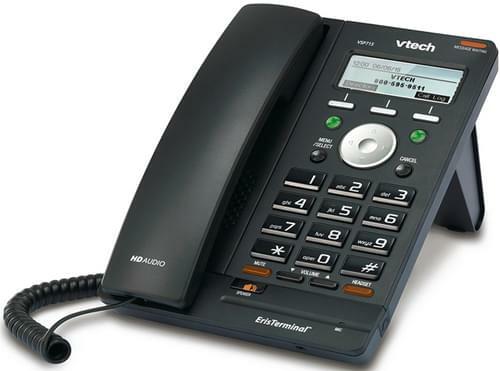 The cheapest phone in our round up, the VTech ErisTerminal VSP715, still comes with all of the essential features you will need from a basic desk phone. The VSP715 manages to hit all the check all the boxes for our list, yet sits right at the halfway mark of our price point. With only two SIP lines the V SP715 might not be ideal for all offices, but its long list of features seen even on the expensive models begs to differ. Two Ethernet ports, intercom support, an included 2.5mm headset jack as opposed to RJ9, and even a dedicated Web UI to fully customize your phone helps it regain some ground. 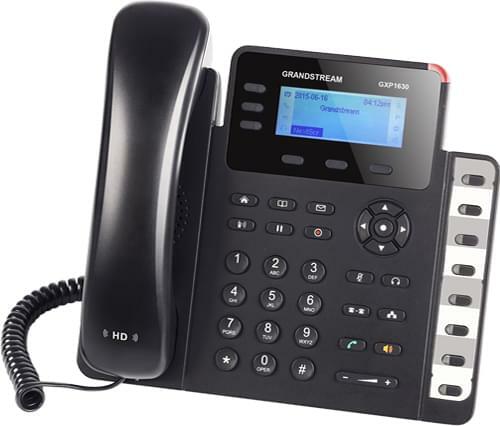 Designed for small to medium businesses, Grandstream’s entry GXP1630 hits all the right points and even expands on some otherwise standard features. Three lines and three programmable buttons put the GXP ahead of the other standard phones that only allow for two lines. Dual Gigabyte Ethernet ports should make for faster connections, and the usual power over Ethernet is a welcomed addition. 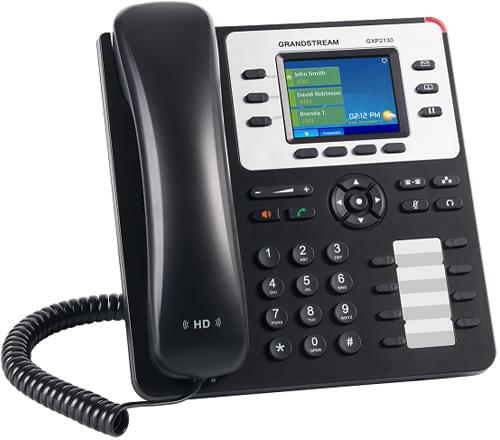 However what makes the GXP1630 notable is its four way conferencing, as opposed to the more standard three way, and even a built in record button to easily record your calls. It is a bit odd, however, that the 1630 seems to only include Electronic Hook Switch support for Plantronics headsets. 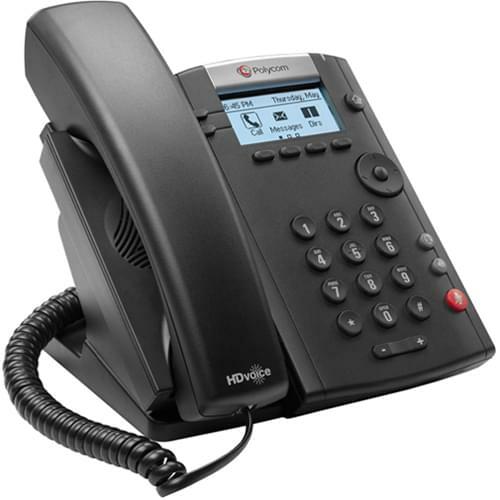 As an enterprise grade phone, the GXP2130 is a more robust and feature backed version of the GXP1630. While only three lines still, the 2130 has a feature otherwise unseen in this comparison list, built in blue tooth functionality. Another unseen feature is the inclusion of a USB jack for headsets, instead of just a standalone RJ9 or 2.5mm jack. As an enterprise focused phone, the GXP2130 lets you download your phone book of up to 2,000 items, and has a call log longer than most other phones – up to 500 records. This of course is all on top everything else you get with the GXP1630, like the four-way calling, dual gigabyte Ethernet port. Although, the GXP2130 seems to lose the former’s standalone record button. Snom offers an enterprise grade, yet entry level, phone comparable to the bigger names in the market. With four SIP connections it manages to even score a few points over less capable phones in the list. A four line display awards another check on the list for the Snom 710, and a built in XML minibrowser rivals some of Polycom’s offerings. Remote management and provisioning is a nice feature for admins that want to stay on top of their systems from anywhere. The 710 does have Electronic hook support for wireless headsets, but only has a RJ4 jack for standard headsets, or a 4pin connector for Snom EHS Advanced headsets. Although, the addition of a 1000 entry local phone book is a bonus compared to the slimmer directories other models. Five programmable keys is another notable detail. 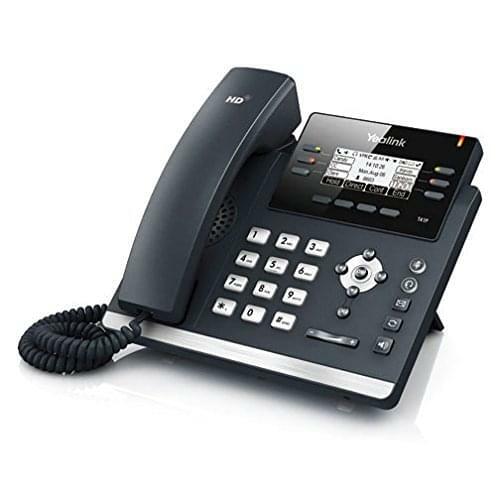 Only rivaled by Polycom’s VVX 300, the Yealink SIP-T4IP boasts six line support, and a new modern elegant design. However, the T41P isn’t all form and no function. 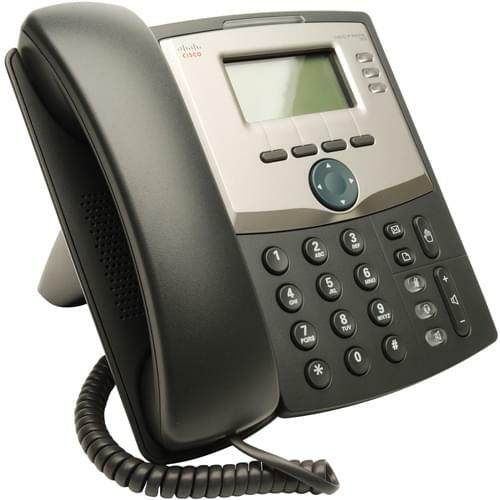 Power over Ethernet support, a 2.7’’ LCD display, headset and Electronic Hook Support, XML browser and even an intelligent search method for your call logs or phone book make the Yealink a solid foundation. An interesting unique feature included with the T4IP is a phone locking system for personal privacy protection, when stepping away from your desk simply lock your phone and keep your voicemail, call history or phone book private and protected. When compiling our list, we sourced the price range for each phone primarily from VoIPSupply.com, Amazon.com and Telephonydepot.com. Prices listed as a range are due to a large difference between the multiple retailers, while phones listed at a single price were much closer match between both retailers. Prices may vary slightly based on shipping costs, or any sales or promotions from either retailer or manufacturers.